Hurricane season left Puerto Rico and parts of Texas and Florida devastated. Here's how to donate to their recovery wisely. Atlantic hurricane season doesn't end until November 30, but the damage and need caused by this year's storms seems infinite. Midway through October, the Atlantic hurricane season produced 15 named storms and 10 hurricanes. The damage from just three of those storms -- Harvey, Irma and Maria -- cost nearly 200 U.S. citizens their lives, prompted federal emergency response and caused billions in damage. They also created an outpouring of support from donors, which is an understandable -- if sometimes ill-advised -- response. 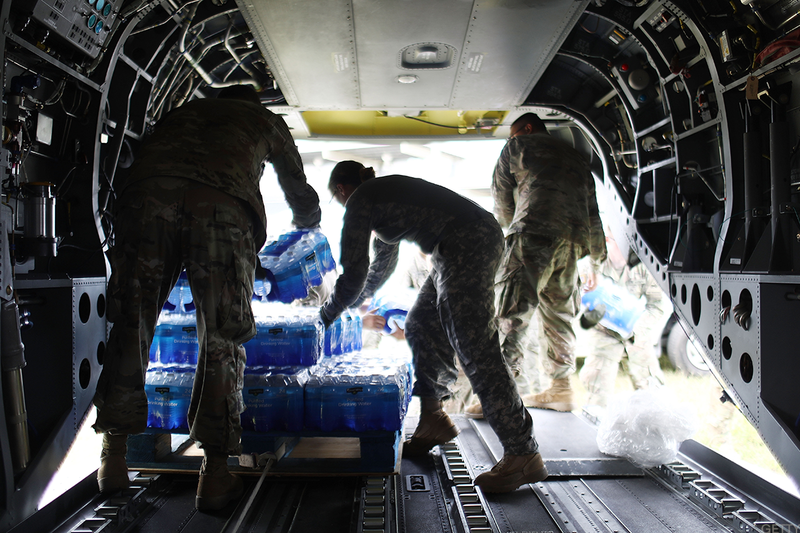 "In the wake of natural disasters, let your giving be guided by both your head and your heart, says Rebecca Pavese, CPA, a certified financial planner and portfolio manager with Palisades Hudson Financial Group in Atlanta. "Letting raw emotion drive your charitable giving can lead you to be less effective or even counterproductive." Pavese isn't saying "don't give," mind you: she's just saying don't go giving to the first organization with its hand out. While the Red Cross and UNICEF come to mind simply because of their sheer size, Pavese warns that there are more optimal ways to help those in need. Ask how well the organization manages the donations it receives, how it addresses the issue it is designed to combat and how it stacks up to groups doing similar work. If you want to see how much of your donation goes to administration and overhead rather than the cause, sites including Charity Navigator, GiveWell and GuideStar have long provided that information. "Look at efficiency, effectiveness and innovation when evaluating a charity," she says. Also, Pavese suggests looking local. Smaller groups closer to the devastation don't have to go as far to do some good and could use funding to replenish resources. They also tend to be more reliant on volunteers and spend less money fundraising, which makes donation particularly helpful. In Puerto Rico, for example, Unidos Por Puerto Rico and the Puerto Rican government have been the most direct routes for charitable giving in the wake of Hurricane Maria. In Houston, The Greater Houston Community Foundation functions as a clearinghouse for local nonprofit organizations. Those are all good starting points, but be sure to check any agency for a solid track record of effective and efficient aid before you contribute. Also, though there are many pleas for help on sites like GoFundMe, crowdsourcing around a disaster often teems with fraud. "All else being equal, give to a vetted charitable organization," Pavese says. "Your gift will go further, and you can be pretty sure it will get to people who need it." Donating clothes or bottled water may seem helpful, but resist the urge. For anyone who isn't near a disaster area, and even for most who are, cash donations are almost always the best choice. Also, texting donations is perhaps the least-effective way of getting money to the source, since charities have to wait on wireless companies to release the money. Instead, donate directly to a charitable organization's website. Finally, if you itemize deductions, gifts to charities recognized by the Internal Revenue Service are tax-deductible. Besides saving you federal income tax, gifts also often reduce your state income tax. You'll have to keep a receipt of all your donations in case you're ever audited, Pavese says, but there are better ways to keep track of your donations. If you give appreciated securities, such as shares of stock or mutual funds, you'll avoid the long-term capital gains tax on the appreciation while providing extra value. "Never sell an appreciated security and donate the proceeds after paying tax," she says. "But if you want to donate any security that's lost value, do the opposite. Sell it, take the capital loss and donate the proceeds. You'll cut your tax from both the capital loss plus the amount you donate if you itemize." Finally, one of the best ways you can make a difference is by supporting affected locations in person, while Puerto Rico and parts of the U.S. are in need of a great deal of further assistance, AAA notes that Caribbean destinations including Aruba, the Bahamas, Barbados, the Domincan Republic, Jamaica, Curaçao,the Cayman Islands and Turks & Caicos were all largely unscathed and looking for tourism revenue. Meanwhile, the Florida Keys have reopened to travelers ahead of schedule following Hurricane Irma, and Mexico saw little impact to its tourism infrastructure following two recent earthquakes and Hurricane Katia. "While recovery efforts are ongoing, we do not anticipate that the recent storms will have a long-term impact on the travel industry," says Bill Sutherland, AAA senior vice president of travel and publishing. "In addition to making a donation to the recovery charity of your choice, we also can help the Caribbean recover by stimulating their local economies, which rely heavily on travel and tourism." Lastly, don't forget about areas in need. They tend to need help far longer than the most recent news cycle, so make sure you aren't forgetting about them just as they rebuild. "Consider setting a calendar reminder in a month or two to donate again when the need may be even greater. Or consider making an automatically recurring donation monthly or quarterly," Pavese says.